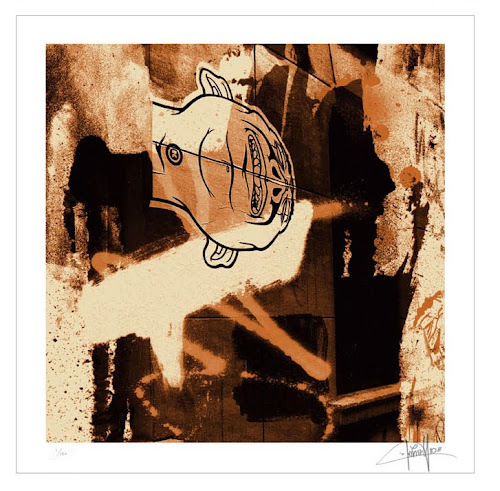 Some new Dave Kinsey prints dropping later today Firday 19 March 2010. 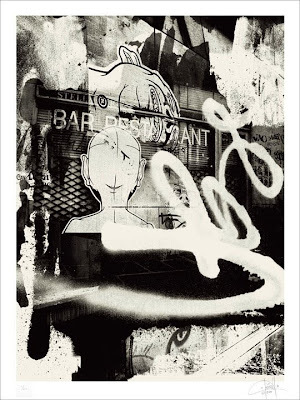 The 'Paris' prints being released will be a set of 2 and 1 special edition 18 x 24 silver print. The silver version of 'Paris' is also a 3-color screenprint on 100% cotton rag in an edition of 100. Size: 24 x 18 inches /61 x 45.7 cm. This edition looks like a mashed up version of the other two prints. 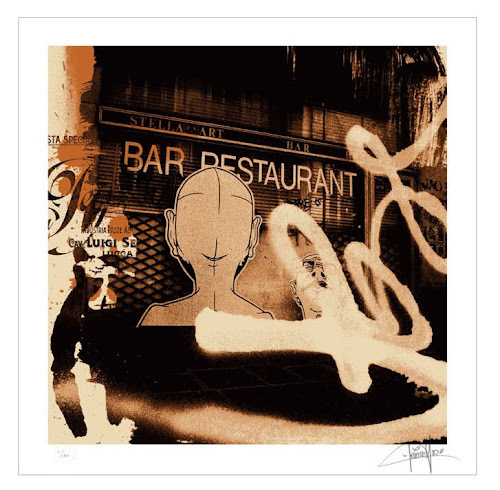 We are big fans of Kinsey's work but we are not too keen on these new photographic screenprints, the colours as always are great; it's just we feel it's a little lazy to do a screen print of some photos of his paste-ups on the street! But as with all other Kinsey releases they are sure to sell out instantly.